In our last article, we discussed the purpose of your home, colour combination and materials and textures. In Part 2 we will discuss the other 4 important aspects to enhance your homes curb appeal. 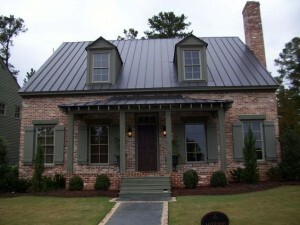 Choosing the right roof can be the most difficult part of exterior home renovations. You will want to choose a durable roof that will outlast you. The best materials for Ontario would be metal, steel or shingle. Colour is a key factor when choosing a Roof and you will want a colour that will match most colours in case you decide to sell or re-side your home in the coming years. Windows are the main source of sunlight for your home. You can choose from a variety of styles depending on air flow. A Skylight would let light in from over your house and would be essential if the sun sits over your home for most of the day. You can choose to have many windows or just a few larger ones depending on what the interior looks like. If you have a minimalist taste you will have to have large windows as you wouldn’t have to worry about people seeing any clutter. The entry way is the most important aspect to consider, as it is the first thing you see when you arrive and the feeling you want to invoke is very important. When considering a door you will want to choose a colour from your exterior but a tint lighter or darker, depending on your taste. You will have an abundance of options when it comes to the door as in; door knockers, door knobs, sidelights etc. Don’t forget about lighting! 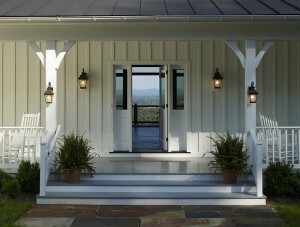 In many homes, the outside lighting is overlooked. It will give your home the lasting impression at night. You will need to decide which area of the home you want to stand out at night and what mimics your home’s style. Lantern-Style Chandeliers will match any traditional look and angular lights will boost the entry way if you have a more modern home.